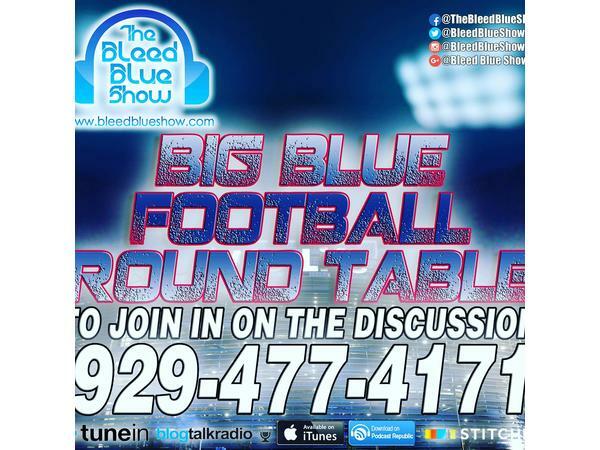 The 2018 Regular Season discussion with the NY Giants on The Big Blue Round Table - a Frontliners Podcast ( https://www.facebook.com/nygfrontliners/ ). Platform with hosts and stakeholders to have open dialogue inbetween seasons.Series of episodes before the game and after the matchup. - Check out www.bleedblueshow.com to stream or download episodes from our website. Also download on Itunes, Tune In, Podcast Republic, Stitcher. - All new episodes for Yankees starting Monday January 7, 2019. The Rangers with Ranger Proud and Knicks with Knickerbocker will resume this week after New Year.